In early November Cathy and I drove to Ontario Canada for my last teaching contract of the year. 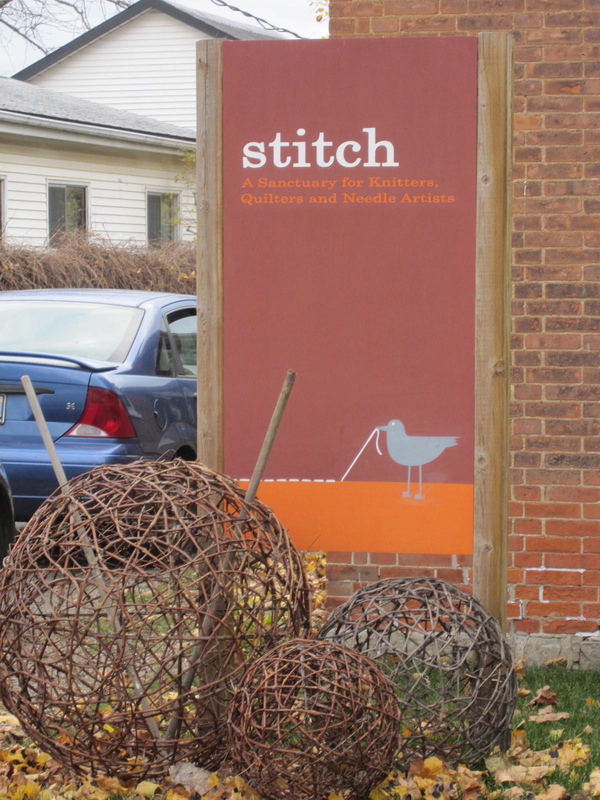 This little store owned by Jocelyn Chamberlain is the best kept secret in Eastern Canada! 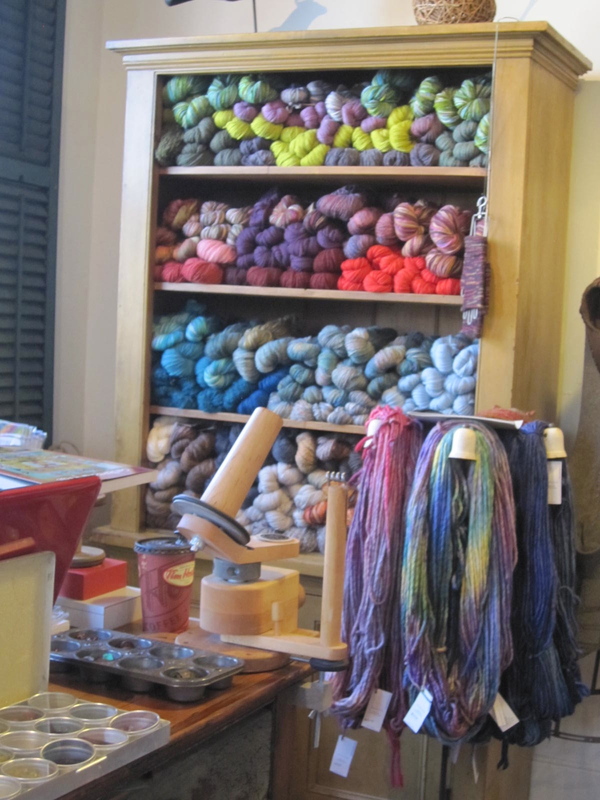 It is a haven for the creative minded beautifully decorated and stocked with a wonderful array of knitting yarn and sewing fabrics. Jocelyn was a delight and made us feel so welcome. It was fun getting to know her and her lovely friend Linda during the weekend. 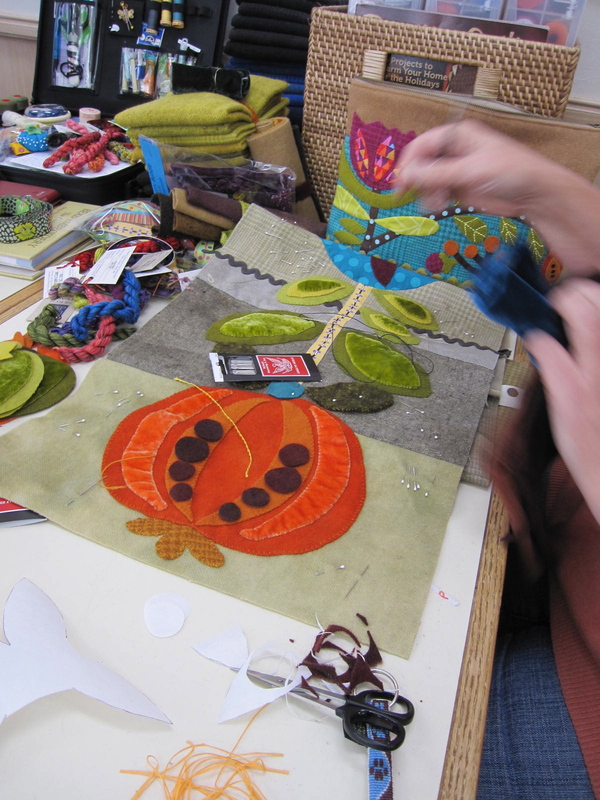 In class I had 23 students for two days of creative stitching. I began with a trunkshow sharing my quilts and talked about how my travels and my life have influenced these quilts. We spent time journalling and exploring all the possibilities for creating leaves and berries in wool quilts using a wonderful array of different stitches, threads, beads and textural fabrics. It warmed by heart to see a version of my Ginger Grove quilt displayed in the store. A very creative student made this quilt using mainly cotton fabrics. 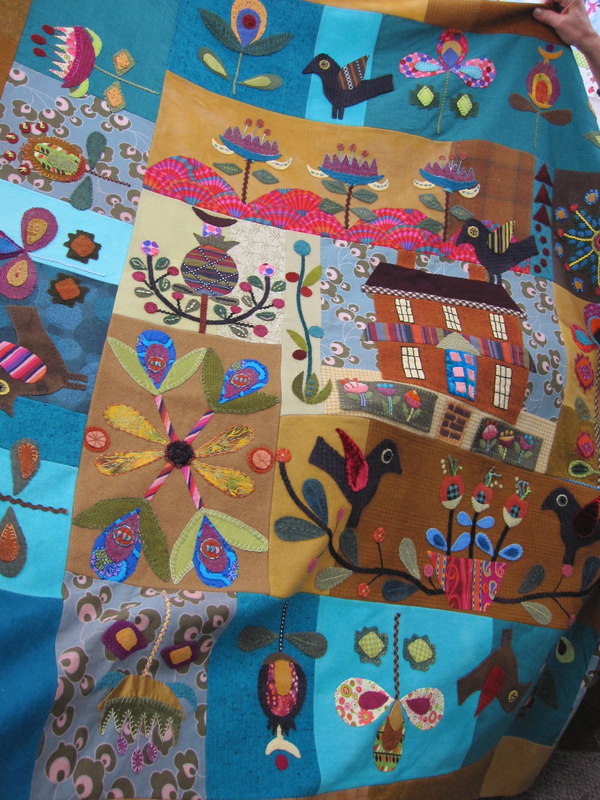 She also took images from my quilts and made this wonderful banner. This was a very special place to finish up my teaching for the year. Many thanks to all the wonderful students and a very special thanks to Jocelyn and Linda for taking such good care of us. I look forward to returning to ‘Stitch’ to teach next year. This has been an amazing year and wish to thank my family and friends for their unconditional love and support as I continue to explore my creative path. It has been a busy few weeks teaching. In early November Cathy and I travelled to Smith Owen in MI with the car loaded with lots of goodies for 3 days of teaching and vending. 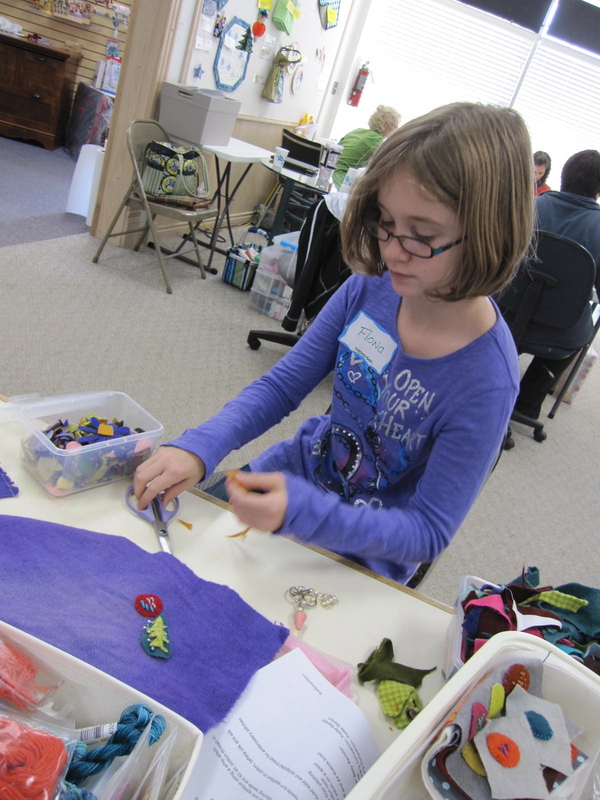 As these were mainly embellishment classes we took along all our ribbons, chenilles, silken pearls and seagrasses as well as fun beads and trinkets. Also loads of hand dyed wool, velvets and a few kits and cotton packs. As I have taught here for a few years it is always wonderful to return and spend time with many friends we have made over the years. 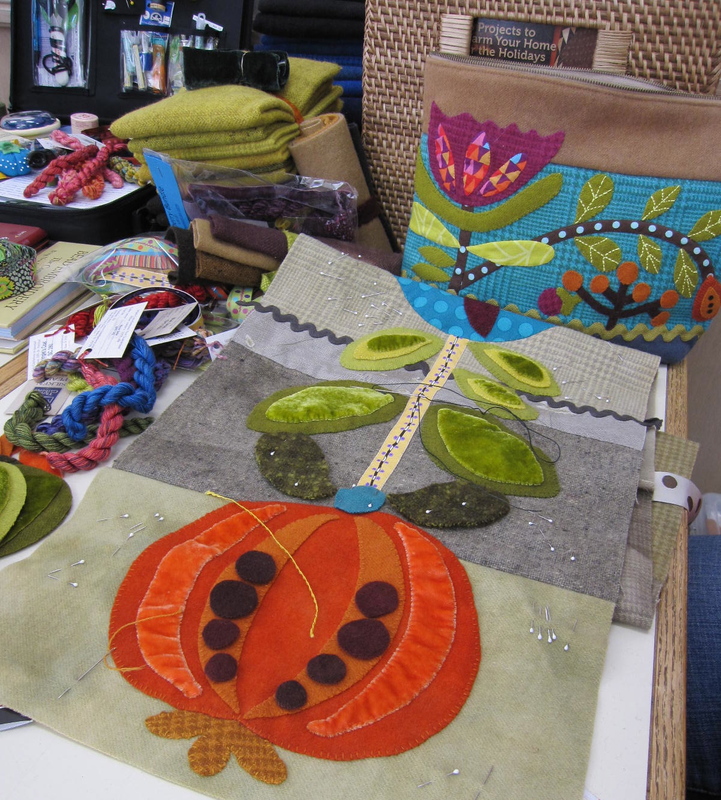 I taught a two day class of my Pomegranate Table Rug from my Crimson Tweed book. Each started with our kit but many personalize their piece with different ribbon stems and stitches. We worked on wool whipstitch appliqué and needle turn cotton and velvet appliqué along with layering and embellishment stitches. 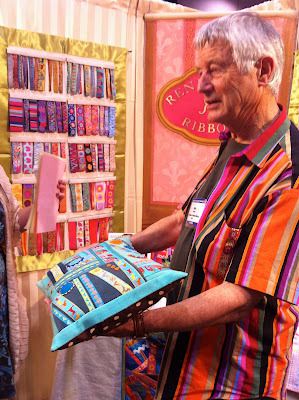 It is always fun to see Wendy and my ribbons being used in projects along with how the embellishment stitches bring the pieces to life. I also taught a one day needle case class where the focus was circles. The best part of this class was Fiona my youngest student ever. She is 10 years old and did amazing stitching even the Bullion Knot! 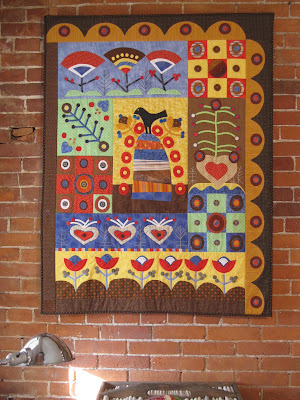 In this class I taught eight stitches along with many ways to combine the different stitches. 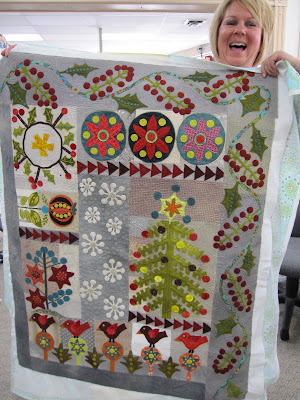 Many students brought quilts to share. I absolutely love seeing their work and the way they interperate my designs. Jean finished her Crimson Tweed quilt. Now quilted and just needs a binding. Lynne shared her version of Mercer Lane. This wonderful Magnolia was also shared. Susan brought her bird project from last year. 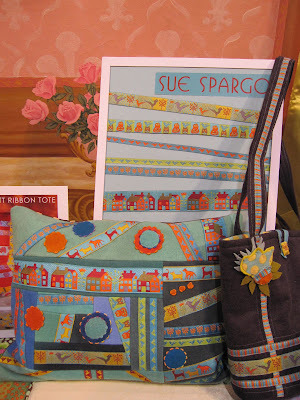 It was wonderfully embellished using many stitches and different fibers. We had a wonderful few days and look forward to returning next year. 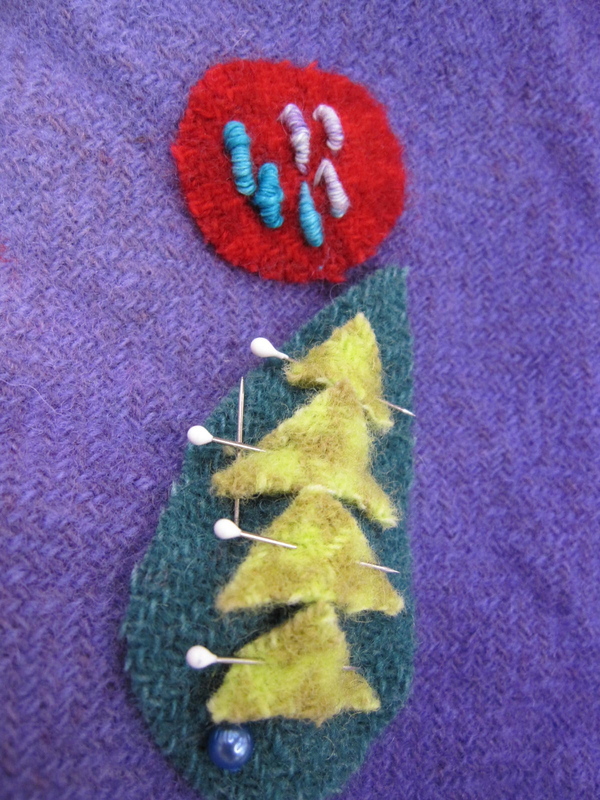 Cathy and I returned home inspired to sew and prepare for our last teaching event for the year. A new trip to Stitch in Ontario, Canada. Kelly and I spent two days at Quilt Market hunting for new items for the website and visiting with good friends. It was great to catch up with Brandon and see Westminster Fabrics new line. Valori Wells is one of my favorite young designers and it is always good to visit with her. 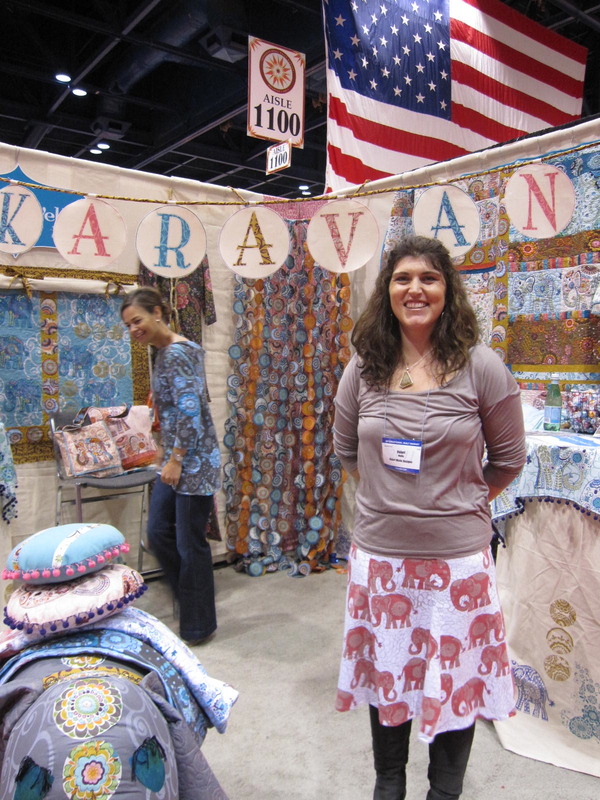 She has two new clothing patterns as well as a wonderful fabric line called ‘Caravan’ which included knits and cottons. 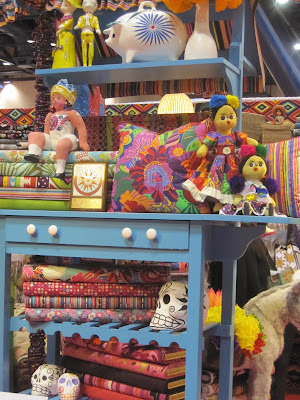 She also won second place for her great booth. Kelly made this wonderful pillow to showcase the line. It was a hit with many customers. 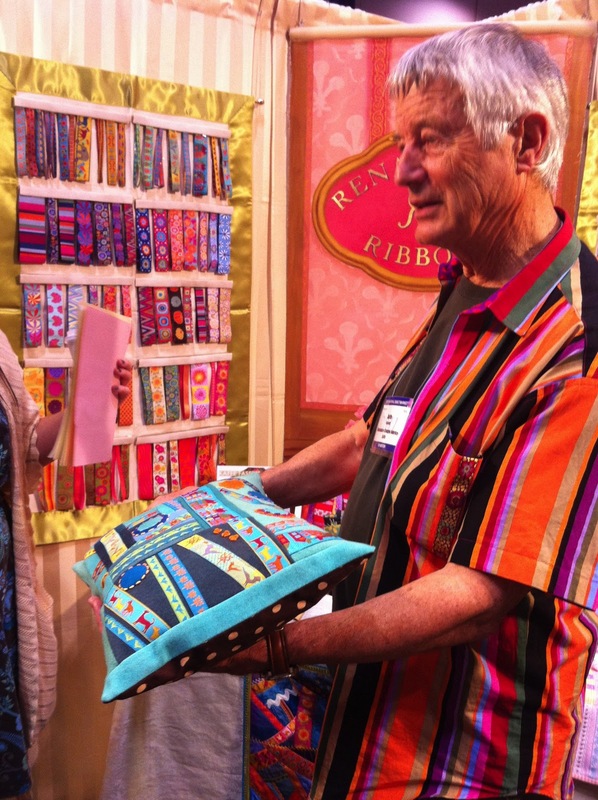 I receive this photo from Sheila at Renaissance Ribbons of Kaffe admiring her work. How fun is that! On Friday night we caught up with Jenny, Kerry, Jenny and Lucy from Australia and Saturday night we dined and had a few Margaritas with Kori, Lynn and Cathy who joined me in Italy this year. It was fun to catch up and reminisce. 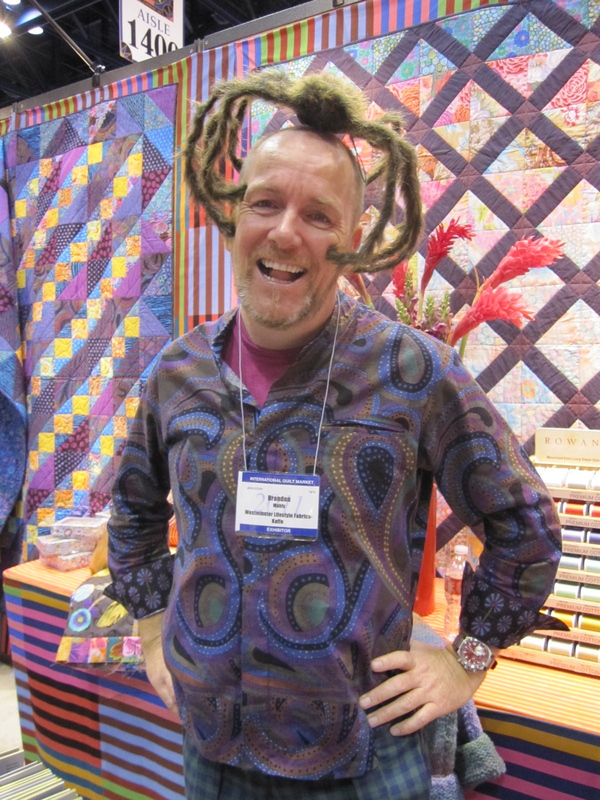 Quilt market is always over the Halloween weekend and you just never know who you will meet! We bought great organic fabrics from Birch. They were wonderful soft colors and something different for our website. It was great to see my friend Sarah Fielke and her husband Damien from Australia. She had her own booth with her new book ‘From Little Things’ and her fabric line ‘St Ives’ from Lecien Fabrics. We also bought great fabrics from Alexander Henry. 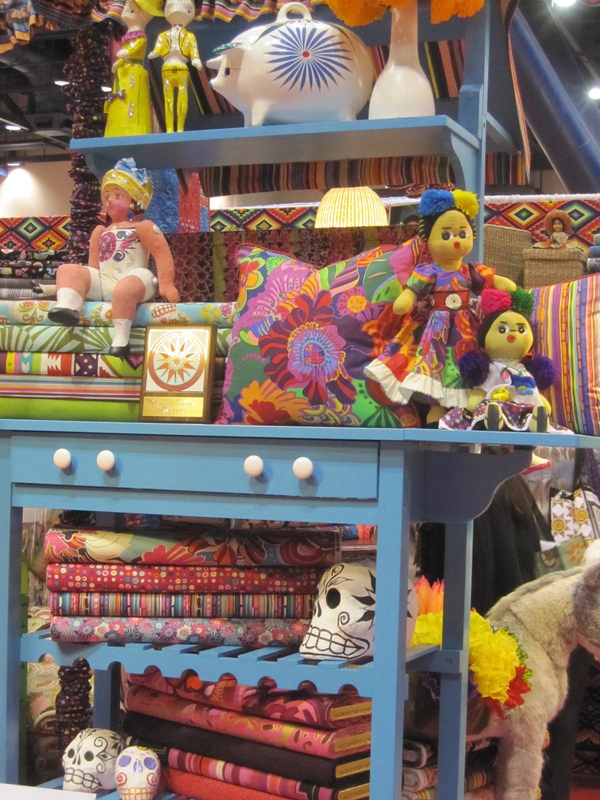 They had a wonderfully creative booth highlighting their fun fabrics. 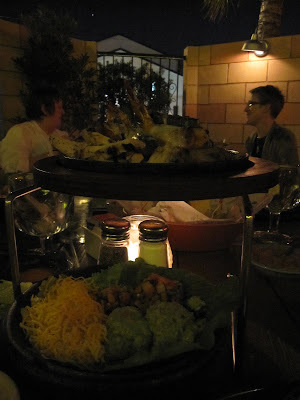 Sunday evening we were treated to a great Mexican meal. We had many great laughs with good friends. Kelly and I returned home Monday inspired to create new and wonderful projects. 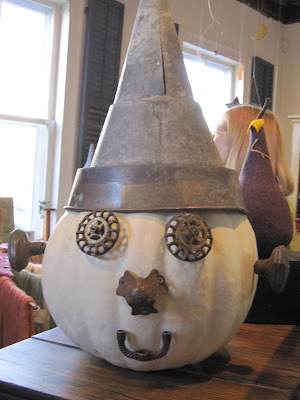 I have two more teaching engagements this year then I will have a little time to create.